We also offer new Creels and modify existing Creels. We aim to be the tufting machinery supplier of your choice. Our keen attention to detail and dedication to high standards won the trust and confidence of many satisfied customers. 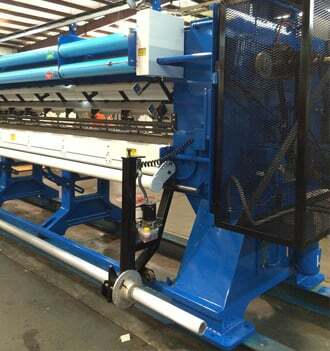 Get in touch with us to learn more about the tufting machine services and equipment we offer. You can reach us at (706) 259-9595. Our friendly representatives will assist you with your inquiries. When you need high-performance carpet tufting machinery and other production equipment, you can count on Hicks Tufting Machine Service, Inc. in Dalton, GA. With current technological and mechanical innovations, customers can now acquire functional, well-crafted carpets and other textile products at a relatively low cost. Using tufting machinery, production of textile products, like carpets, have become more productive and cost effective. With the increasing number of tufting machinery suppliers in business, it is important to choose a company that is knowledgeable and experienced in the industry. Our decades of experience in the tufting industry has paved the way to earn the trust of distinguished commercial and industrial clients. For more information about our company and our tufting machinery services, please give us a call today at (706) 259-9595. We would love to hear from you soon.